Today marked the start of a significant change at Croick. In the nine years we have owned Croick, most of the sheep which were run on the Estate were run by a local family under an annual grazing licence. 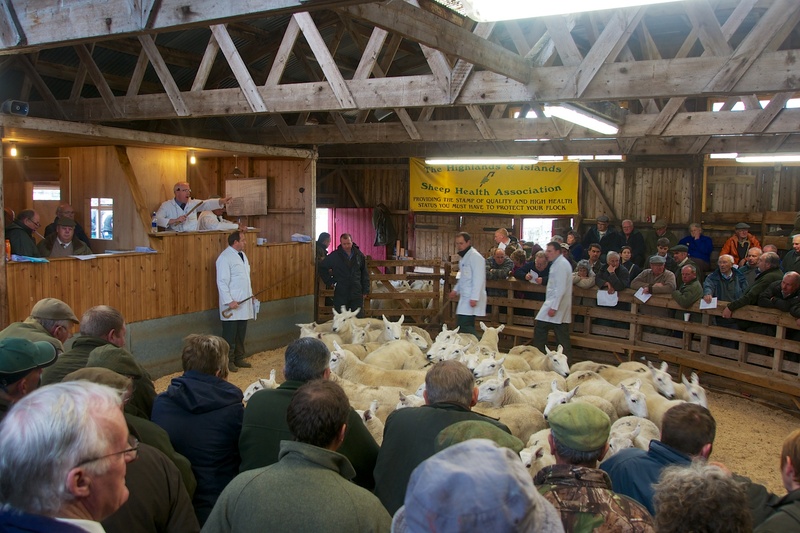 But that has now come to an end and a number of their sheep were sold at Lairg today. I’m pleased to say that the family will continue to be involved with Croick as one of the family will be managing the Estate’s own flock, which will run mostly at the eastern end of the Estate. The decision to cut sheep numbers and focus on running our own sheep is part of a broader plan to encourage heather regeneration and wetland development in key parts of the estate, together with some small additional woodland development and wild meadow regeneration. We hope that this will make the ground increasingly attractive to a wide variety of birds and other wildlife, continue to support a healthy deer population and fit well with continuing but more limited agricultural activity. Of course, it is a long term plan but it is time to make a start.